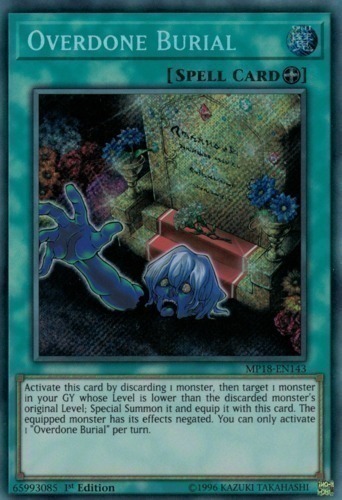 Text Activate this card by discarding 1 monster, then target 1 monster in your GY whose Level is lower than the discarded monster's original Level; Special Summon it and equip it with this card. The equipped monster has its effects negated. You can only activate 1 "Overdone Burial" per turn.